In English and Zulu with subtitles. 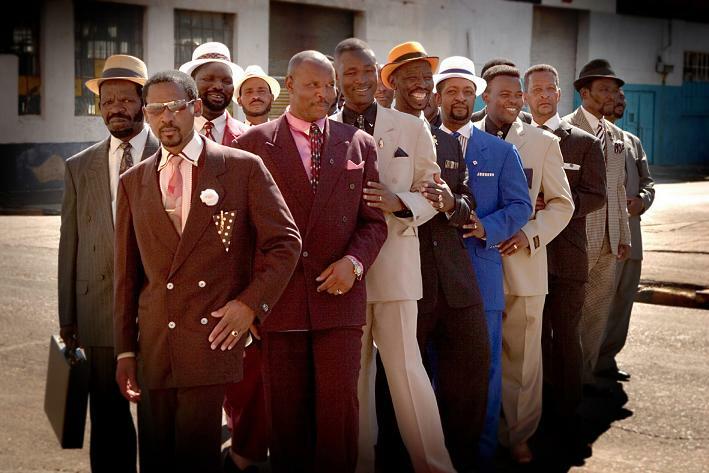 BASIC PREMISE: A documentary about the Swenkas, South African men from Johannesburg who compete in a fashion show. ENTERTAINMENT VALUE: An old Zulu man, who serves as a fictional storyteller, introduces the story of the Swenkas as if it were a fairy tale. Sabelo recently lost his father, who founded the Swenkas. His mission is to continue the tradition of “swanking”. The small group of Swenkas brings energy, charisma and, above all, plenty of style as they show off their fancy clothes during a competition. These men are mostly poor, but enjoy saving their money to buy nice clothes to show off their pride. The prize is either in the form of cash or an animal, such as a goat or cow. Unfortunately, as excited as these Swenkas act, The Swenkas fails be just as exciting mainly because the competitions have very little suspense—not like in Mad Hot Ballroom or Spellbound . The lack of interviews with the Swenkas distances the viewer from the film because you never actually get to know any of them personally. SPIRITUAL VALUE: To watch the Swenkas use up their time to entertain others with their fashion show is very satisfying. Without interviews and analysis, there’s very little insight other than the introduction to this unique lifestyle that drastically varies from the very violent lifestyle of others in South Africa. Moreover, it’s difficult to grasp what drives these Swenkas to continue this tradition other than for the sake of tradition itself, which is an answer that feels too simple and incomplete to be insightful. However, the ending does make you feel good, especially as the initial storyteller returns to say his closing words. INSULT TO YOUR INTELLIGENCE: Impersonal and unexciting. THE BOTTOM LINE: Although the Swenkas are charming, fascinating and full of energy, but the lack of interviews gives an impersonal, cold feeling without enough insight to be compelling. The use of a storyteller does make it mildly engaging, though. On the other hand, Fast Film , the 14-minute experimental film by Virgin Widrich that precedes it,at no additional charge, is much more entertaining and inventive as it stylishly combines photocopied and cut-out images from over 300 classic films through animation. It hits you like a train with many images that were cut out from over 300 films. One of the most wild 14-minute rides captured on film! RECOMMENDED WAY TO WATCH: Movie Theater (1st Run)—only so that you don’t miss out on Fast Film, which is definitely worth the price of admission!